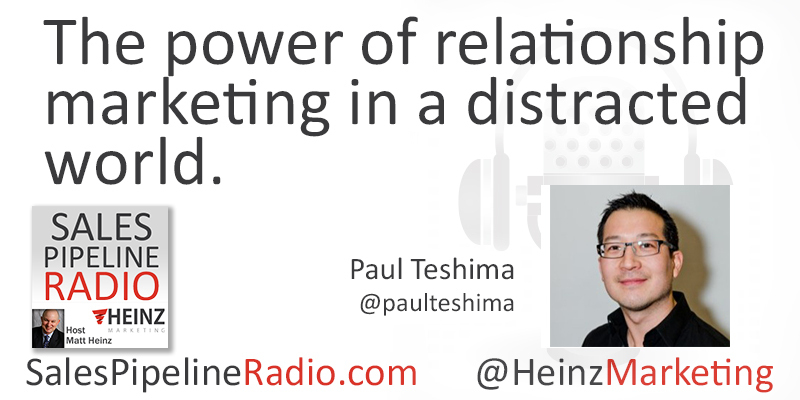 The Power of Relationship Marketing in a Distracted World. He is a successful technology executive who has run services, customer success, account management, support and product management. Paul is a firm believer that culture eats strategy for breakfast, and business culture can be built through storytelling. He has always have been a leader with a strong focus on sales and customer engagement. Helped lead Eloqua (marketing automation) as part of the executive team from $0 to over $100 million in revenue, through IPO and a successful acquisition for $957 million by Oracle. Now co-founder and CEO of Nudge.ai, a modern sales platform that uses A.I. to find actionable insights on your customers. Passion for building great teams and products that help customers grow their businesses.